Marguerite, the daughter of two genius scientists, gets caught up in a journey beyond this universe. Literally. Her parents created a device which will transport a person to an alternate universe. However, when Marguerite’s dad is pronounced dead at the scene of a car accident, she knows it can’t be an accident. Murder—and Marguerite knows who did it. The only problem is the killer may not even be in this very universe anymore. Marguerite, with the help of Theo, search for her father’s killer—stepping into alternate universes they could have only dreamed of. 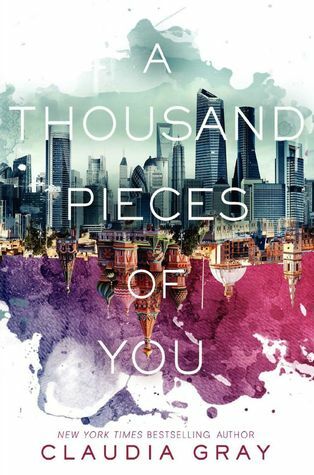 A Thousand Pieces of You by Claudia Gray will have your heart in a thousand pieces by the end of this book. In a good way. Claudia Gray, author of the Evernight series, goes in a completely different direction with this one. Gray certainly surprised me with this fantastic start to a series, I already know I will love. Evernight is a series of vampires, boarding schools, and mystery. I read up to the fourth in the series and then just stopped. The plot had gotten overused, too long, and I just fell out of love with the series. I can’t tell you exactly what made me stop—it could have been the constant trend of vampires in books that year or it could have been a hundred other reasons. All in all, I was wary starting this new series that has created such a huge hype. I kept thinking “it can’t be that good” or “I don’t know about this one, it could be similar to the Evernight series.” This is the part where I slap myself for being stupid because (a) it can be that good and was even better than good [insert amazing, fantastic, perfect synonym here] and (b) it wasn’t similar at all to the Evernight series. Marguerite risks her life to save her father, plunging into different worlds to kill the one who murdered her father. However, her flaw of trusting people too easily and taking things at face value irked me. Just because he said he did not kill her father, does not mean that he didn’t kill her father. Even though I have a cookie in my hand and tell you I didn’t steal a cookie before dinner, Marguerite would probably believe that I didn’t steal a cookie because that is what I told her. That is infuriating. 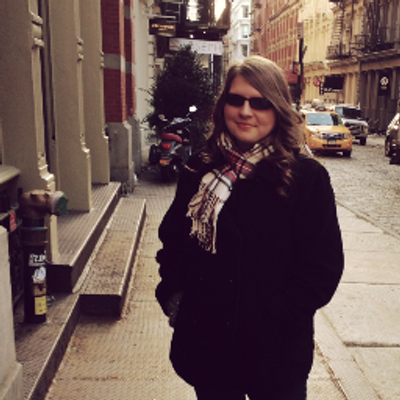 As soon as she started changing her mind, I knew I couldn’t completely rely on her (yah! I love unreliable narrators). The plot is a “what if” tale, even as a reader, the constant question of “what if this happens” comes into play. 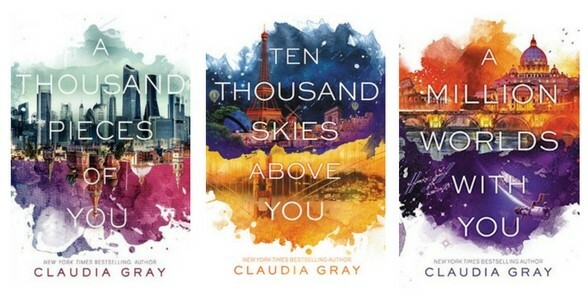 These what ifs become answered within the genius of Claudia Gray’s writing and the worlds she created. Gray introduces the reader to five different worlds. Going into this book, I knew it was about alternate universes so I expected Gray to bring in multiple universes. With that many universes, I was a bit worried that I would be so confused. I’m the type of reader who gets confused by five or more point of views in a book. My worry was unnecessary. Gray tackles the universes one by one, in amazing detail, which leaves no confusion for the reader. The flow of the novel ensures that no matter how close a universe is to one another, Marguerite keeps reminding the reader that it is different and Gray tells us how it is different. It’s simple and gorgeous. A Thousand Pieces of You is a book so powerful, it will pull readers out of slumps, out of their own worlds, and it will tear them to pieces (you know, in a good way).